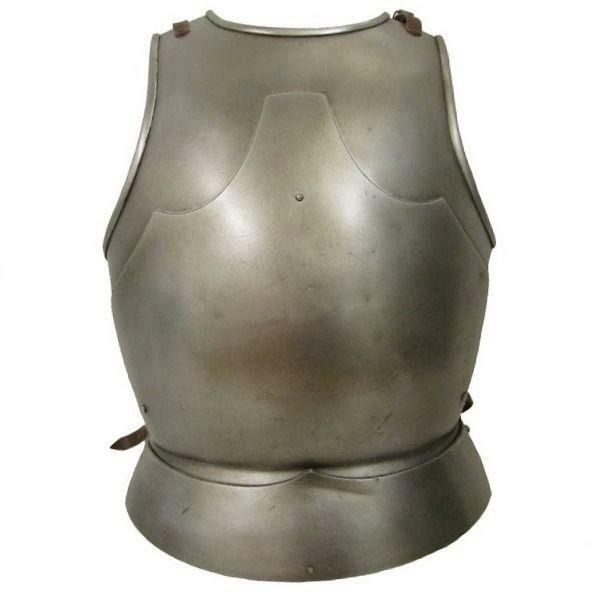 Classic Milanese cuirass. 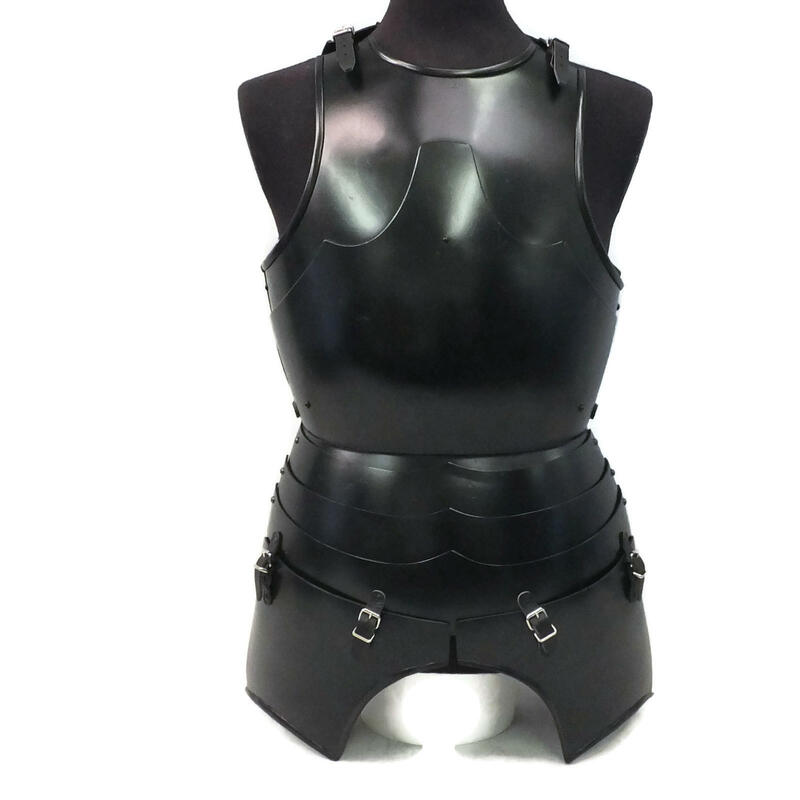 Comes with decorative backplate. 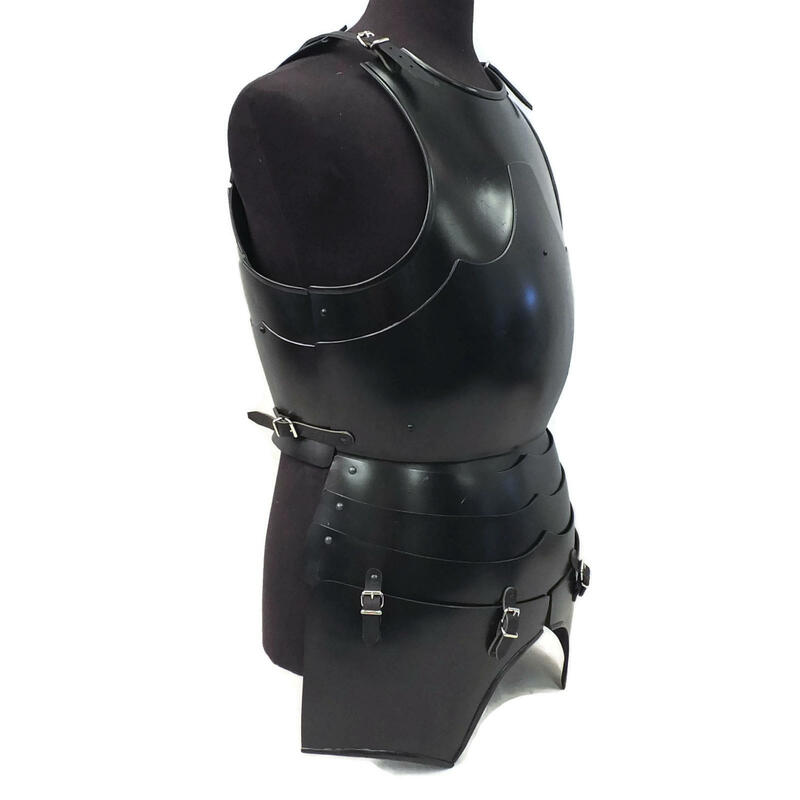 Optional tassets come with extra fauld and fixing straps. 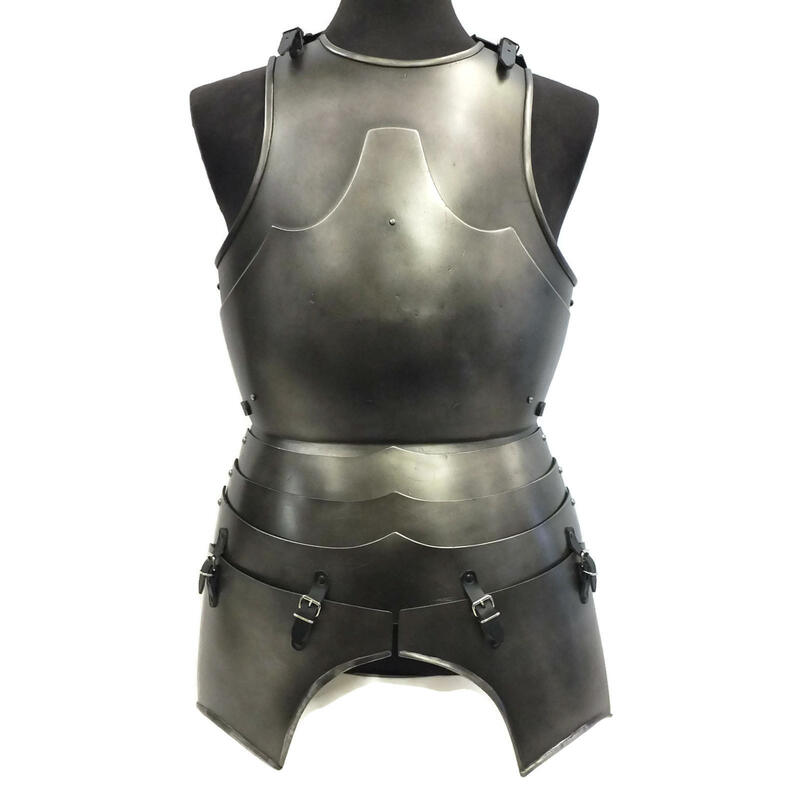 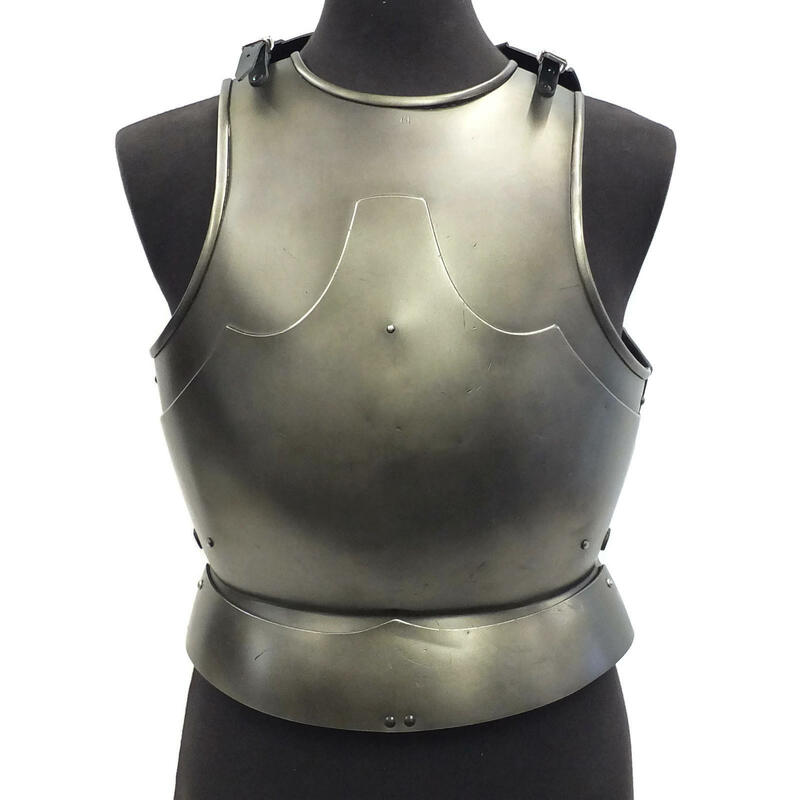 Will fit up to approx UK size L. Measurements are for the armour to meet at the sides -however the straps will allow for expansion of up to 4" and a reduction of 3".